By now every business knows that content is an important part of online marketing. It is becoming even more important with the new Google algorithms. Not only is content important for keeping customers and prospects engaged and interested in your business website and social media sites, it is one of the determiners that Google uses when deciding where to place you in the search rankings. The best content gets placed higher and your business will have better exposure. Knowing how to create the best content in order to appeal to your customers, prospects and search engines is easy when you know the particular mix of content that will be most relevant for your business. 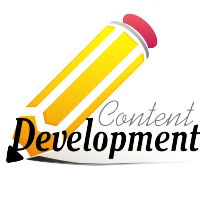 Publishing content on your website or at article marketing sites that contains relevant hot topics about your industry makes for great content topics that your customers and prospects will find valuable. For example, if your business sells kitchen accessories, writing about the latest ways to use those accessories to create healthy meals would be relevant and valuable. Expert advice is always considered valuable too. If you can get interviews with leaders in your industry, you will notice a huge spike in traffic at your business website and social media sites. For example, a YouTube video showing someone like Rachel Ray demonstrating the latest kitchen accessories that you happen to sell would be entertaining and informative for your customers or prospects. Even if you are unable to get an interview, posting a YouTube video about it and writing an article based around your review of the video can still be a great hit. Writing articles about the most commonly asked questions your customers ask is another great way of delivering content that is relevant for your business offerings. Chances are many others have those same questions, but just haven’t asked them, so they will be interested to read the article. Creating a list of the most popular products you have is another great way to add some content that will be interesting for your customers or prospects to read. When you have a good mix of content that is consistently published at your site, or at article marketing sites with links to it from your social media sites, you will notice that you get an increase in customers and prospects visiting your site. The more visitors you get to your site, and the longer they stay there to read the information you have made available, the more the search engines will consider your website to be a valuable resource. When the search engines rank you higher because of great content, even more customers and prospects will visit your website for increased sales.